State Headquarters Staff – Child Evangelism Fellowship of Eastern PA, Inc. The State Headquarters staff of CEF of E PA, Inc. oversees 20 branches in 25 counties of Eastern Pennsylvania. Our offices are located at 4305 Winthrop Drive, Harrisburg, PA 17112..
As a Moody Bible Institute student, Dr. Mable Ruth Wray served as a summer missionary in 1953 and 1954. After graduation in 1955, she served as State Field Worker for CEF OF EASTERN PA, INC. for two years. for the next 16 years, she was the Northumberland County Director. Mable Ruth also filled the positions of faculty member at the Leadership Training Institute and Teacher Training with the International Office of Child Evangelism Fellowship Inc. She traveled throughout the United States and around the world establishing, organizing and developing Leadership Training Institutes for pastors, missionaries, and youth workers to teacher them how to evangelize children. In 1976, Mable Ruth became the State Director of CEF OF EASTERN PA, INC. In 1996 she was awarded an honorary Doctorate of Humanities by Bob Jones University for her devotion to the Lord and this ministry. In 2004, Dr. Wray was named State Emeritus by the State Board after 28 years as State Director and 62 years in CEF. In the Fall of 1994, with 17 years of active duty military service, Major Jeff Davis resigned his commission to accept God’s call to full-time missions service with CHILD EVANGELISM FELLOWSHIP OF EASTERN PENNSYLVANIA, INC. In 1996, Jeff became a licensed minister of the Gospel in the State of PA.
Over the next 16 years Jeff filled various positions at the State Headquarters including seven years as the State Director, where he helped recruit, train, and lead the staff and volunteers serving 25 counties in eastern PA. In 2011, he switched to working part-time in order to pursue a doctoral degree with a focus on leadership from Capital Bible Seminary and Graduate School. Jeff earned the PhD in December 2015 and continues to use his knowledge as a member of the Headquarters Staff at CHILD EVANGELISM FELLOWSHIP OF EASTERN PENNSYLVANIA, INC., where he is now completing his 22nd year in ministry service. In addition to his work with the headquarter’s staff, Jeff is an adjunct professor with Lancaster Bible College, in Lancaster, PA, and Capital Bible Seminary and Graduate School, in Greenbelt, MD. He currently teaches masters-level classes on leadership and communicating biblical truth. Dr Davis married former Cathy Wolfe of Sunbury, PA in 1978. Together they have three children; Jason, Jennifer, and Courtney, and eight grandchildren. In 1973, Carol graduated from Washington Bible College with a degree in Bible and a minor in Christian Education. After graduating Carol began her ministry with CEF as a summer missionary. That was shortly followed by Carol accepting the position as the county director of Somerset County in western Pennsylvania. In 1975, she graduated from the Child Evangelism Fellowship Leadership Institute in Muskegon, Michigan. She continued to serve in Somerset County as a local county director until 1987. In May of that year, Carol moved to Ohio. She was selected as the Missionary Director for SHOES, a five-county area in the northwest part of Ohio state, while there she also served as the Director of Education during her last five years. In 2002, Carol began her ministry with CHILD EVANGELISM FELLOWSHIP OF EASTERN PENNSYLVANIA, INC. Carol currently serves as the State Field Worker, ministering in the local counties, as well as being a part of the teacher training team that travels the state to train and encourage our full-time staff and volunteers. Over the years Carol has also taught several Good News Clubs. 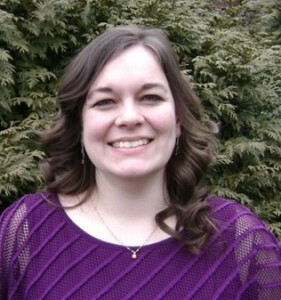 When Brianne was 16, she worked as a summer missionary for CHILD EVANGELISM FELLOWSHIP OF EASTERN PENNSYLVANIA, INC. She also worked for several years as a volunteer at the CHILD EVANGELISM FELLOWSHIP OF WYOMING-SULLIVAN COUNTIES, INC. Day Camps. Brianne attended Baptist Bible College, now called Clarks Summit University, in Clarks Summit, PA, graduating in 2012 with a Bachelor’s Degree in Communications and a Minor in Bible. Brianne came to the State Headquarters of CHILD EVANGELISM FELLOWSHIP OF EASTERN PENNSYLVANIA, INC. at the beginning of 2016 working as a Ministry Assistant. Some aspects of her job are editorial work, updating the graphics used in materials, and sending out mailings. One of our cherished friends, Miss Rita Lobdell, has just experienced a home going of a different kind. She is now in her heavenly home. It is a place crafted just for her, and it was made by God for just this specific time. I want to take a few minutes and share some personal information about Miss Rita and her home going in November 2015. Rita was born in 1943, in Marion, Indiana, as the oldest child of Roy and Lillian Lobdell. She graduated from Van Buren High School, Van Buren, IN in 1961. After graduation, Rita attended Moody Bible Institute in Chicago, IL, graduating from their three-year missionary course with a major in Bible in 1964. From early childhood, Rita’s desire was to one day work as a missionary. She prepared for working on the foreign field while at Moody, but during her senior year in college, the Dean of Women told her that her real gift was teaching children. Over the next 51 years, Rita worked in various capacities within Child Evangelism Fellowship Inc., culminating in her service as the State Director for CHILD EVANGELISM FELLOWSHIP OF EASTERN PA, INC. for the last four and a half years. Along the way, she has worked as a county director in Anderson, IN and as a faculty member at the Child Evangelism Fellowship Leadership Training Institute in Muskegon, MI and Warrenton, MO. 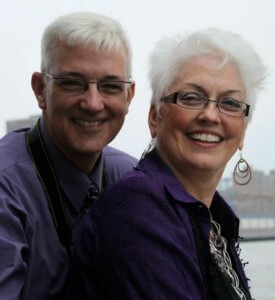 Rita also worked as a member of the Leadership Training Team that traveled throughout the USA, before settling in CHILD EVANGELISM FELLOWSHIP OF EASTERN PA, INC., in 1978 as the first Director of Teacher Training. While working in Pennsylvania, Rita has held positions as the State Director of Education, Associate State Director, and State Director. She is also recognized as an adjunct professor of missions at Bob Jones University in Greenville, SC. Rita often stated that her greatest goal was to inspire teachers to teach God’s Word to children in such a way that the children would love the Bible and choose Jesus as their Saviour and Lord. For 40 years, Rita taught the Bible lesson at Camp Good News in Northumberland County, sharing the Gospel with thousands of children through the years. Additionally, thousands of teachers and young people have been trained by “Miss Rita” in Bible lesson teaching methods at Teacher Training Classes, conferences, and Summer Missionary Training School. She encouraged each one to give their best to God, establishing a superior level of excellence in Christian service. It was Rita’s sincerest wish to encourage others to stand strong for the principles of the Word of God, and she gave her best to set the standard for that example. It was Miss Rita’s fondest wish, and it was the mission of her life, that children know the way to Heaven. At this time of year, when she is with the Saviour herself, she knows what the fulfillment of that hope means in a very real sense. Nothing would please Miss Rita more, nothing would please the Heavenly Father more . . . than to see this legacy carried on in the future, until the Lord comes again. It was a shock to us all! Miss Virginia Landis is in heaven. Our dear ministry partner, co-worker, and “our nurse,” went home to be with the Lord on January 13, 2016. Just a week earlier Miss Ginny was healthy, busy with ministry tasks, and had recently returned from an extended visit with her Ohio family. Today, she is with the Lord. Early on that Friday morning, she briefly went outside, accidently slipped on a thin coating of ice on the walkway and her head hit the concrete when she fell. We transported Ginny to the hospital where doctors discovered a severe concussion with swelling and bleeding on her brain. Within about five days she was in heaven. While unexpected here, God’s plan for Ginny to arrive in heaven has impressed upon us a reminder of God’s sovereignty; as well as, the perfect plan He has for each of us. “Miss Ginny” was born July 19, 1927 in Pheasant Hill, Ohio to the late Omer and Alice Landis. She was the second born of six children and attended Newton Township grade and high school for 12 years. Virginia went on to attend Nurses Training at Springfield City Hospital in Springfield, Ohio where she received her R.N. degree. After receiving God’s call to the mission field, she attended Moody Bible Institute. She followed that by going to Anvers, Belgium to study French and Tropical Medicine. Later, Miss Ginny returned from the mission field to Moody Bible Institute to receive her Bachelor of Science degree in nursing. Miss Ginny also graduated from the Frontier School of Midwifery in Hyden, Kentucky to supplement her nurse’s training. 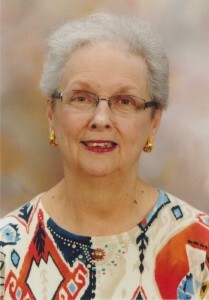 Ginny served with the Africa Inland Mission (AIM) for twenty years. Approximately fourteen of those years were in the Belgium Congo of Africa. The name of that country was later changed to the Democratic Republic of Congo, then to Zaire, and today is the Republic of Congo. During her time on the mission field, she had to evacuate from her station four times, once in the 1964 rebellion where many lives were lost. After evacuation from the Congo, she worked in Kenya, East Africa. While in Kenya, Miss Ginny taught the Physical Education classes to senior high girls in Kijabe, at the missionary school for children. In addition, she was the school nurse while also working at the medical center at Kijabe. 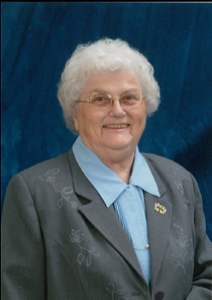 After 20 years with AIM, Miss Ginny came home to the United States and began working with CHILD EVANGELISM FELLOWSHIP OF EASTERN PA, INC. She began her service with CEF of E. PA, working as a Summer Missionary in 1955. She later attended the Child Evangelism Fellowship Institute in Muskegon, Michigan in 1971. As a Field Representative of CEF of E. PA, INC., she served in many of the 25 different counties for extended periods of time helping with many tasks, such as: filling in as the county director, doing visitation, raising support, and overseeing administrative details until new workers were trained and established in ministry. She was also the head nurse at Summer Missionary Training School for more than 35 years. While Miss Ginny will be missed terribly, her presence and influence will be felt for many years to come. The number of nurses, missionaries, and Christian workers who Ginny inspired to take up her walk of faith may never be clearly known, but we believe her impact for the cause of Christ will be felt for a long time to come. Another senior saint has arrived in heaven. There is no denying that she did as much as she could, while she was alive to impact the lives of children for the sake of her Lord. This brings us to an important question. How can we continue . . . how can the ministry Miss Ginny loved so much go on unless through the efforts, the prayers, and the involvement of others, just like you? What can we do, perhaps while still reflecting on the life and accomplishments of this dear saint, to continue her legacy and continue winning boys and girls for the sake of the Gospel? If Miss Ginny were answering that question, I think she would suggest several things. Miss Ginny would ask us to pray for workers to enter this ministry she invested her life in. Perhaps you would pray that the Lord would even be so kind as to send us a NURSE! While that was just one of Ginny’s talents given to His service, it was a critical one. But Miss Ginny wouldn’t stop there. She might ask us to share some of God’s financial blessings too, just like she did. Ginny was generous with her time, her talents, and her gifts to the ministry. Finally, I think Miss Ginny would want us to consider in a very personal way, what we can do as part of the CEF of E. PA team to minister to children personally. Ginny always had a little gift or toy in her purse. When she saw children, she saw an opportunity to share Christ with them. After presenting the gift and sharing some personal time, she would bring out her wordless book and begin to share the story of salvation. Countless times, her co-workers witnessed Miss Ginny share her faith simply and graciously with whomever God brought across her path. She carried out God’s call on her life to be a witness wherever He took her. Miss Ginny is in heaven . . . but we are all still here. That means, to me, that God still has work for us to do. I’m asking you to consider ways that you might join with us in continuing the wonderful legacy of this dear saint by participating in the winning of boys and girls for the Saviour. Thank you for taking up the challenge. May God bless you richly as you pray, give, and go so that more children might be drawn to the Lord!